The character is worthy of all kinds of honors. At the heart of of NBC’s Emmy-nominated drama This Is Us is a saint. 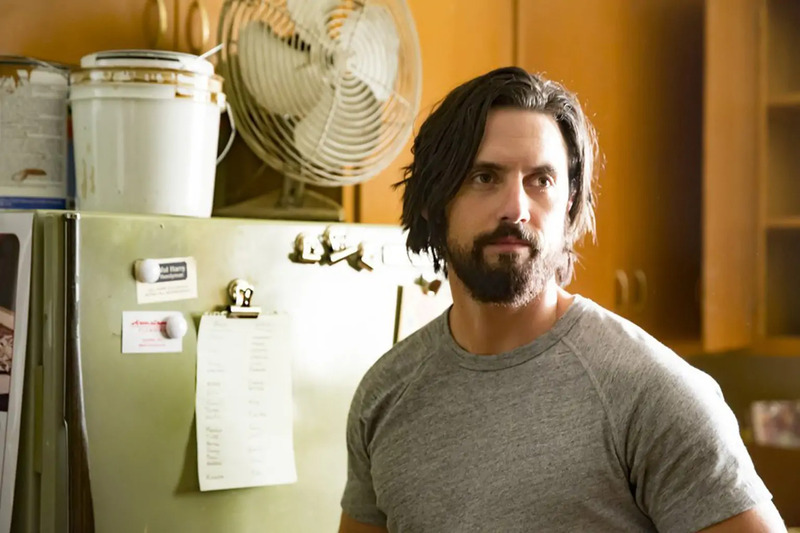 Jack Pearson (Milo Ventimiglia) may not be holier than the next man, but Ventimiglia plays the part with such unvarnished tenderness, viewers either wish they could be Jack, marry him or have a father like him. His character is truly the center of the story, the sun around which all the characters’ lives orbit, even after his death. Ventimiglia deserves the Emmy next week, and his character deserves something more. As the first season of This Is Us unfolded, with other characters adoring Jack when he was alive and revering his memory after his death, a scene in episode two created dissonance for me. In that crucial scene, Jack had started phoning it in as a father. Work sucked and his dreams had died and life was overwhelming, so he started coming home late, disengaged and often drunk. Jack’s wife, Rebecca (an Emmy-worthy-in-her-own-right Mandy Moore, whose quiet depth shines in these scenes), sets him straight. This scene is where I started wondering why Rebecca gets such a raw deal in the relationship. She’s the one who puts in the daily work of caring for the children while her husband comes home late and drunk every night. Jack seemed like the “fun dad” who took the kids to the pool and said yes to ice cream and made grand gestures but didn’t actually do the tedious, everyday stuff parenting requires. He didn’t seem worthy of the honor his family constantly bestowed. Even though Jack has glaring flaws—like, say, a drinking problem—when he’s good, he’s the best. When he’s present, everything else fades into the background. This isn’t a sociopathic charisma, it’s an ability to bring life to those around him. The author Frederick Buechner says it’s these people, rather than the most holy or righteous among us, who are saints. “A saint is a life giver,” he says. On the surface, one might think Jack’s heroism makes his family revere him. He loves to ride in on a white horse and rescue his loved ones from injustice or heartbreak. But a saint is not a hero. Jack’s heroism is actually one of his faults, even becoming his fatal flaw when he rescues his family from their burning house before going back for the dog. Still, his hero complex is part of the mixed bag of virtues and vices that make him human, and therefore extraordinary, in his love and life. My grandfather was a saint. He died suddenly of a massive heart attack at the age of 58. His death was like a rug pulled out from under my family, much like Jack’s was for the Pearsons. My grandfather was our patriarch, our rock, life giver and joy bringer. He made up songs and lovingly teased my worry-wart grandma and laughed at his own jokes and created quirky traditions for our family. He constantly talked about (and demonstrated) how important it was for his grandchildren to feel delighted in and loved. But it wasn’t just us. Hundreds of people showed up to this ordinary man’s funeral, with many saying, “He was my best friend.” That’s a saint. A person who makes you feel seen, who gives you peace in who you are, who brings joy and life to the room. A saint sees people for who they truly are at their very best. It’s one way This is Us garners awards consideration for its characters—we see their flaws, but Jack sees something deeper. To him, Rebecca is spectacular—a goddess and soulmate instead of a moody wife or tired mom. He sees Kevin as a brave and generous man instead of a vain, selfish boy. Kate is a beautiful, talented miracle instead of an awkward teenager and Randall is a cherished and irreplaceable member of the family instead of an abandoned orphan. How can you be a saint? You don’t have to make grand gestures like Jack Pearson; you can simply let people know you see them. You can offer the best of yourself, your full presence. You can really listen, and when you speak, speak the deepest, most sacred and lovely truth you see in those around you. Jack’s sainthood continued impacting others even after his death, shaping his wife and children and the way they moved through the world. When you’re a saint, you don’t know it, and you certainly don’t know the lasting legacy you’re creating with your words and your life. Through the story of Jack Pearson and his family, This is Us offers a stunning, multidimensional picture of the effect one person can have on others with their one and only life. It’s worthy of every honor, Emmy or otherwise. Pain, joy, grief and redemption weave together a picture of humanity so beautiful some might say it wakes dead things to life in our hearts. We hope this really could be us. Joy Netanya Thompson is a writer and editor based in Los Angeles. She blogs at netanya.wordpress.com. Follow her on Instagram @joyofhonestmotherhood.